Wow, I can't believe Thanksgiving is just 2 weeks away! So much to do in so little time. Does anyone else feel that way? 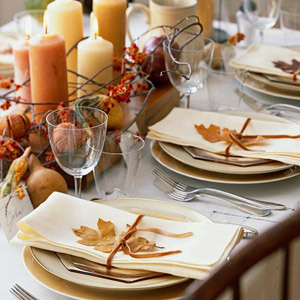 Dinner parties will ensue and I know you will all want to make sure your table looks perfect. That's exactly how I feel so with that said, I found some great tables to get inspired by. You might want to grab a snack before looking at these photos cause they just might make you hungry. 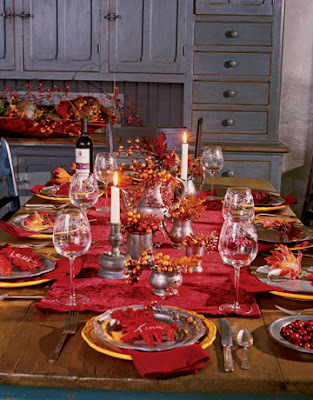 I love everything about this tablescape. The patterned table runner and napkins are a great way to add modern elements and I love that the flatware is gold. Umm, can I just say this is like the pinnacle of chic in tablescapes? I envy those of you who live in warmer climates; you can entertain outside year round! Don't feel that you have to have a variety of elements on your table to make things pop, repeating one element creates a big impact too. You could probably find the pine cones and berry twigs right outside your house. And go to Michael's or any craft store to find some inexpensive glass vases. Great idea using pages of a book as place mats. Just make sure it's not a book you like! Or make photocopies of the pages. 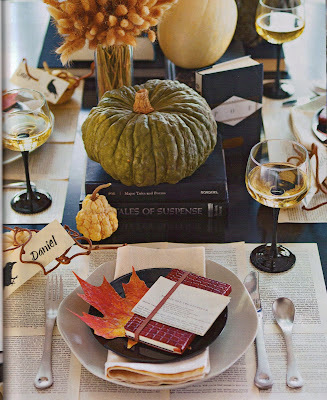 Also, I love the way they use books to create height in their tablescape. Varying heights provide points of interest and dimension. For those of you with kids, here are some cute ideas to dress up the kids table. Although, I think adults might appreciate these ideas too! pixelated Watches Replica Space Invaders cartoon images on each Swiss Replica Watches , these patterns are with luminous UK Replica watches coating, installation by hand one by one to dial in.Space Invaders Replica Rolex Watches series used with the Moon Invaders series of the same case, 46 mm wide, with black PVD materials. handbag replica The back of the watch is fitted with a special material to create a special Moon Silver Designer handbags RJ cover, the material.